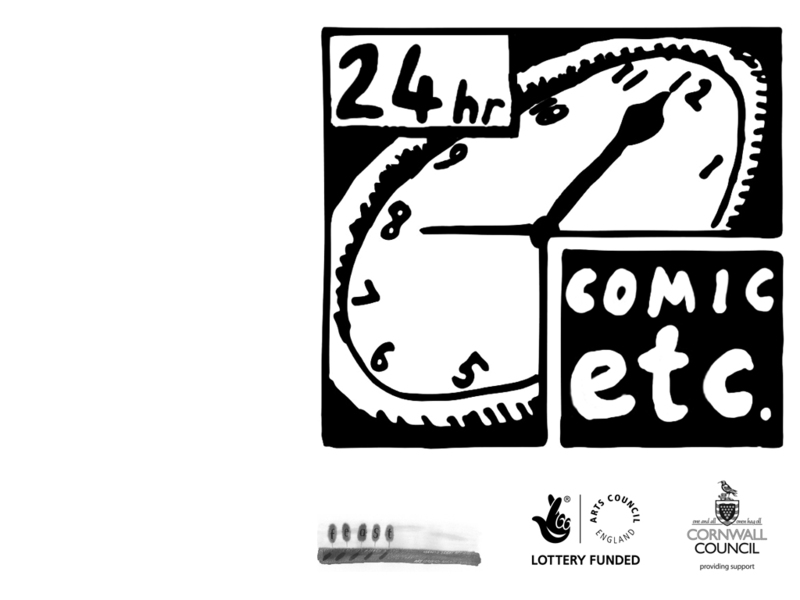 Graduate News: Phil Rushworth co-curates 24hour Comic etc. In January and February 2011 24hr Comic Etc. challenges twenty four artists, illustrators, photographers and performers to take their work out of the studio and into the spotlight. Each participant has just twenty four hours to tell a story inspired by the local area in twenty four sections, creating a truly organic and spontaneous art project. Come along, take part, draw or just sit back with a cup of tea and soak up the creative atmosphere. Each event will be accompanied by live 24hr online coverage written by a guest blogger. All work produced will be posted on our blogs and online galleries. Supported by FEAST and the National Lottery through Arts Council England with additional support from Cornwall County Council and Barefoot Games. This entry was posted in Graduate News, News and tagged Art Event, Arts Council England, Cornwall, FEAST, MA Curatorial Practice graduate. Bookmark the permalink.